and guarantee a smile on your face!! At Donkeyrun we make it simple to order food from the nicest places in your area and get it delivered to you. Noodles, Curry, Shawarma? You'll find what you are craving for here on Donkeyrun. Order now and enjoy it at home. Want to treat yourself from one of the leading global food outlets like McDonalds, KFC, or Subway…You choose we run. 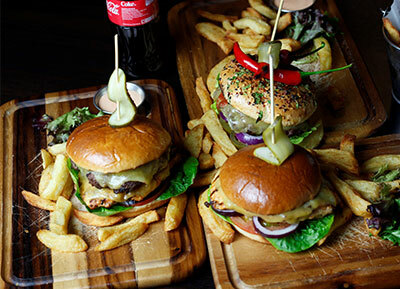 Working with popular food outlets in your area! Too busy to eat out? Hungry? Enjoy good food? We know the feeling. With Donkeyrun you'll never miss your favourite meals again. Want us to increase the number of your customers without increasing the size of your restaurant eating area? We help you by taking care of the entire restaurant food delivery service for you! More customers will find you online. Our easy to use website will make the ordering process simple and fast; making sure anyone can find your menu and enjoy your delicious food at home. 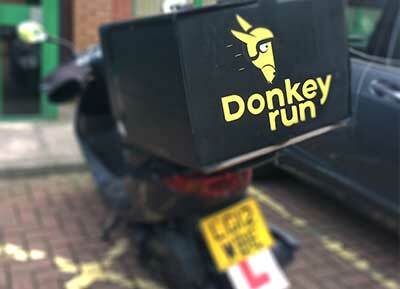 Donkeyrun rider will pick up the food from you and deliver it to your customer. No need to ever manage drivers; making food delivery "a piece of cake". 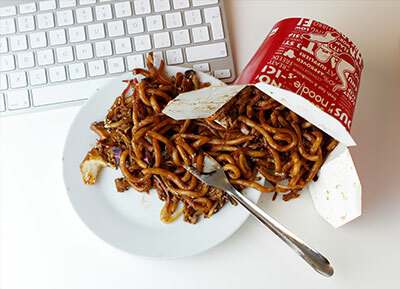 Donkeyrun handles all order taking, saving you time so that you can focus on doing what you do best.. cooking great food. All for great value. We are expanding across west London, specially in the Ealing area. Get in touch to join our food delivery revolution! Remember if you’re looking for the authentic restaurant experience at home we do that! But if you're looking for quick food in 30 mins we also do food delivery from KFC, Mcdonalds and Subway.